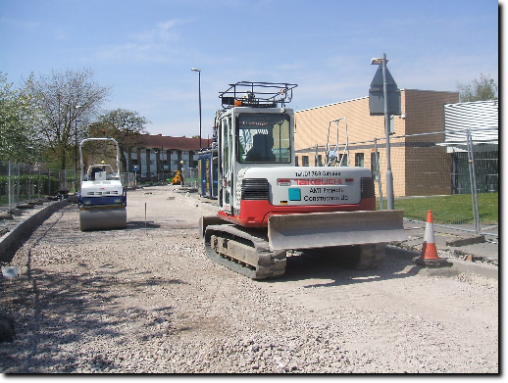 Founded in Rugby in 1999, AMT Projects Construction Limited has established a reputation for quality and service on infrastructure, local authority and civil engineering projects across the Midlands. Today's management is building on the traditions of flexibility and reliability of service that has been the cornerstone of the Company's success. Managed from offices in Rugby, AMT has grown to employ a small but reliable workforce from within the surrounding areas. It is this commitment to the employment of local people and our knowledge of the region that has enabled us to provide a service that exceeds our customer's requirements. Operating across the whole of the Midlands region we provide an unrivalled service with the emphasis on our Clients through traditional procurement routes or Partnering. By involving AMT as integral members of the 'Construction Team' we can deliver best value solutions in an open and trusting working environment.